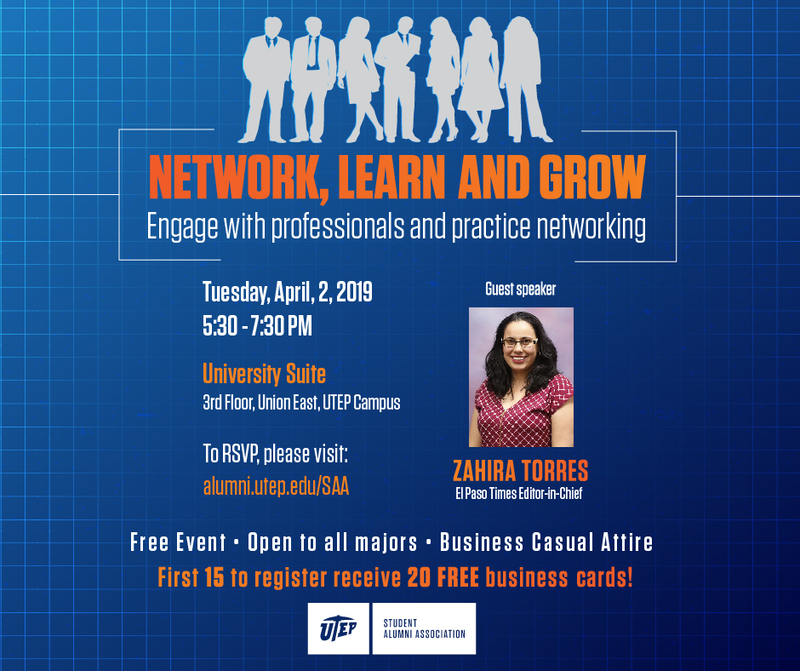 The Student Alumni Association (SAA) promotes and nurtures UTEP Miner pride throughout the community, on or off campus. We act as a continuous link between current UTEP students and alumni by upholding UTEP traditions and spirit. SAA participates in many of the school's high profile events and long standing customs, such as Minerpalooza, Homecoming and TCM Day, Project Move, UTEP LIVE while also taking advantage of the great support provided by the Office of Alumni Relations and networking within the Alumni Association. By the time we graduate, we are the Miner Nation and are ready for the world. Voted El Paso Magazine’s 2009 Best Annual Festival, SAA always hosts a booth at the first official UTEP pep rally and best block party in El Paso, Texas where we promote UTEP traditions and activities while recruiting new members. Although there are many events we’re involved in this week, the float-building contest is the most fun and involves a lot of team-building. Come join us!! In the eyes of many, this is the highlight of commencement festivities. Sponsored by the Alumni Association, eligible students receive their UTEP class ring during a ceremony guided by a keynote speaker. A guided tour of the haunted buildings and stories of UTEP dearly departed throughout the generations, they usually take place on the Friday before Halloween and begin after dark. Boo! In 2010, SAA and the UTEP community broke the seal on the first UTEP time capsule that was buried in the 2000. Visit the Heritage House to see what was inside! The 2009-2010 SAA replaced it with a new capsule to be opened in 2020.